Visitors will tour both artists’ studios and homes of local art collectors. We are excited to feature and support the arts community and Rockport Center for the Arts, who have cemented Rockport’s reputation as the most charming art colony across Texas and the United States. The 18th Annual Taste of Rockport-Fulton event features culinary delights from a host of local restaurants, bakers and caterers. The event features food and wine tastings from local Fulton and Rockport restaurants and caterers. Live auction, bucket auction, a Mystery Box and much more! Monies raised fund our scholarship and community service projects. 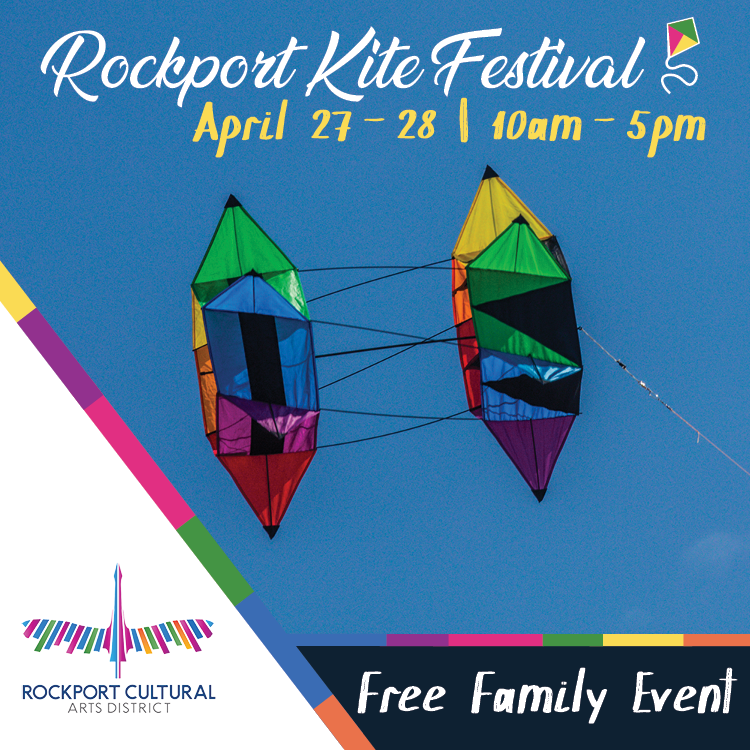 Gather up your family and friends and come out to Rockport for the 2019 Rockport Kite Festival. The Rockport Center for the Arts will be hosting their Free Family Event with projects and kites for children to work on while attending. The Kite Festival will feature professional kite-flying demonstrations, kiteboarders in the ski basin, food vendors, and music. Volunteers will be on hand to help families and to ensure smooth flying. Breakwater (End of Market Street) pier, Rockport Beach North Pier, Leggett Channel, Rockport Harbor Seawall, Bulkhead at Fulton Harbor, Copano Kayak Site, Howard Murph Park, Copano Causeway Boat Launch. Goose Island pier is closed but fishing is available at Day Use Area, Boat Ramp, and West Side. Cove Harbor Marina, Copano Causeway Ramp and Boat Launch, Rockport Beach Park, and Fulton Harbor and Cove Harbor Marina. From the Gulf of Mexico to beaches, bays and estuaries and inland woods, prairies and fields, one will find extraordinary birding throughout Aransas County. We have 10 birding sites on the Great Texas Birding Trail. From November to March, the world's only migrating flock of over 265 Whooping Cranes calls the Aransas Wildlife Refuge home. Nowhere else can you view these magnificent birds so closely. Rockport Beach was selected by USA Today 10 Best as the Best Beach in Texas, rating #1 in the state. Rockport named #4 Best Small Coastal Town by USA Today, 10 Best Readers' Choice Award for two consecutive years. Rockport-Fulton Ranks High on the Charts at #6 Texas. Top 40 Travel Destinations . 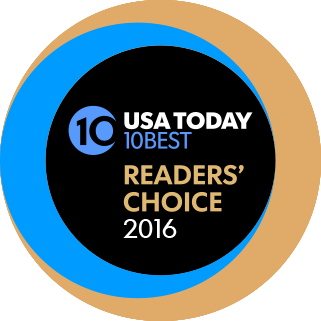 Aransas National Wildlife Refuge voted the #1 birding spot and #5 National Wildlife Refuge in the USA for USA TODAY Readers' Choice . To see more of our accolades, visit our website at rockport-fulton.org/featured-news . April 5, 5-7 pm- Meet and greet sponsored by the Friends of the History Center. April 6, 8:30 am-3:15 pm- At the Aquarium Education Center- 706 Navigation Circle Rockport, TX. There will be a series of lectures including refreshments, door prizes, and more. Call 361-798-4280 or 361-798-6588 for more information. April 13- Fulton Beach Clean up 9-12 Fulton Marina Pavilion for the Texas General Land office Spring Adopt a Beach Clean up event . April 19-21: Over 160 booths filled with great vendors, over a dozen food vendors, 3 days of live music, covered seating and as always, a pet friendly environment! EVERY 3RD FULL WEEKEND OF EVERY MONTH. Open Friday with select vendors and early bird specials from 12-5, Saturday from 9-5 and Sunday from 10-4. Come join the fun and add your energy to our recovery!!! FMI, follow Rockport-Fulton Market Days on Facebook | Website | 361-463-0125. 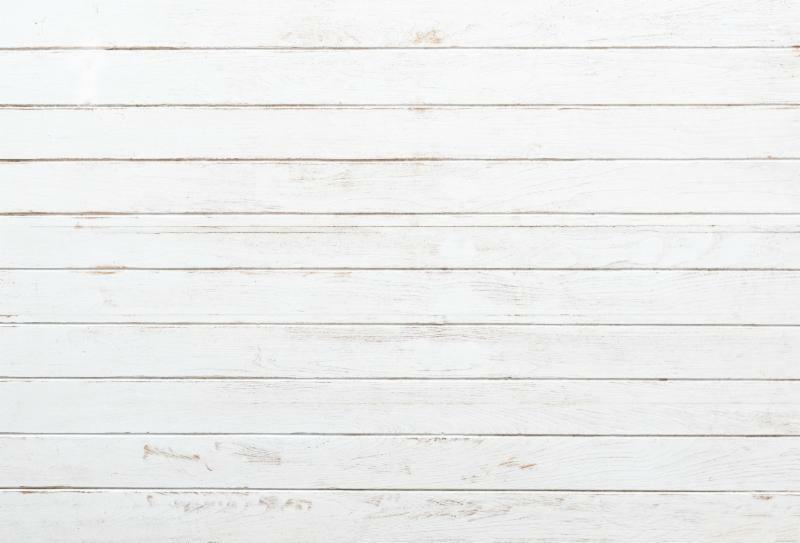 2nd Annual "Easter on the Beach"
April 20- 10 am-1 pm, The Children's Coalition of Aransas County is holding a free community event being held at the Rockport Festival Grounds, in collaboration with Rockport-Fulton Market Days! Come by with your family for Easter egg hunts! Email childrenscoalitionac@gmail.com for more information. April 21- 7 am, 1st Baptist Church presents an Easter Community Sunrise Service behind the Bay Education Center. Bring your lawn chair and enjoy the beautiful view on the beach while listening to the sermon for the day. If the weather does not permit, the service will be moved to 1st Baptist Church. Call 361-729-6382 for more information. are free, and popcorn and soda will be available for purchase. Children can enjoy free, high caliber art instruction year-round, including summer camp- ArtSpace and Free Family Saturdays during the school year. 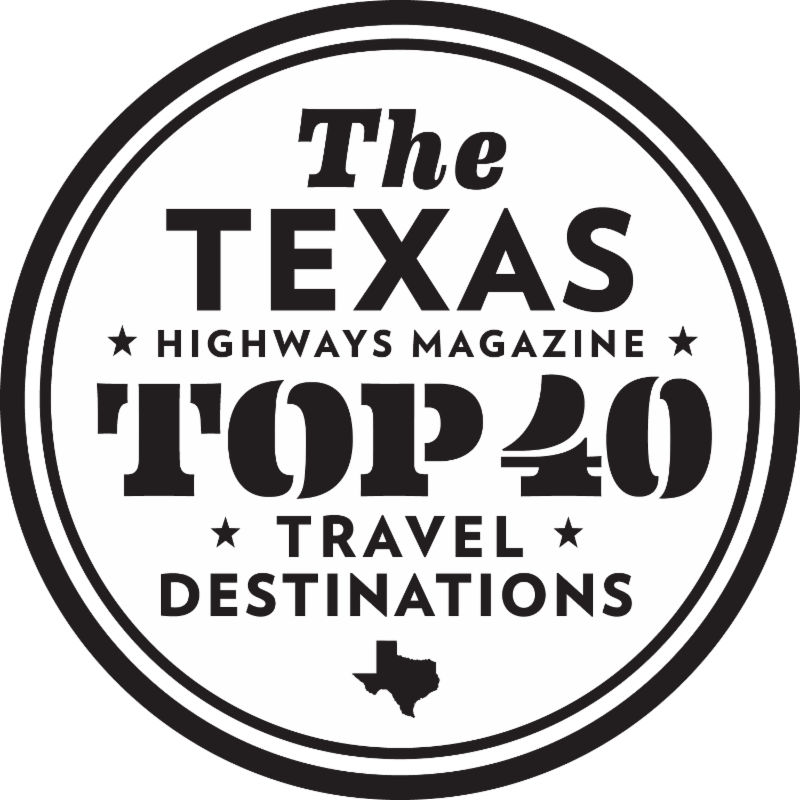 Rockport, famous for its vast colony of more than 800 artists, has been identified as "The 100 Best Small Art Towns in America" by John Villani and "Top 10 Artist Colonies" by Allen Bunting in Coastal Living Magazine. Visit Rockport Center for the Arts location at 106 S. Austin in Rockport. April 5-13 Fridays-Sundays: Where We've Been and Where We're Going, Presented by: The Piecemakers By The Bay Quilting Guild. April 7- Barbara Goodlock will be presenting Collages and Applique. Every Tuesday: Music Jam from 6-9 pm. Happy Hour until 7 pm. $1 Admission. April 1- Auditions for "A Year with Frog and Toad" Musical. We need 6-10 men and women between the ages 18-50. Texas' first Blue Wave Beach! Located at 210 Seabreeze Drive, Rockport, TX 78382. Hours: Sunday-Thursday, 6am-11pm and Friday-Saturday, 6am-11pm. Parking costs for the Rockport Beach are $5/Daily and $20/Yearly. The Aquarium at Rockport Harbor Education Center offers a multitude of events throughout the year. All events are free at this time but donations are always welcome to help support the Aquarium. Open Daily 1pm - 4pm ~ Closed Tuesday & Wednesday. Visit our website for more information. 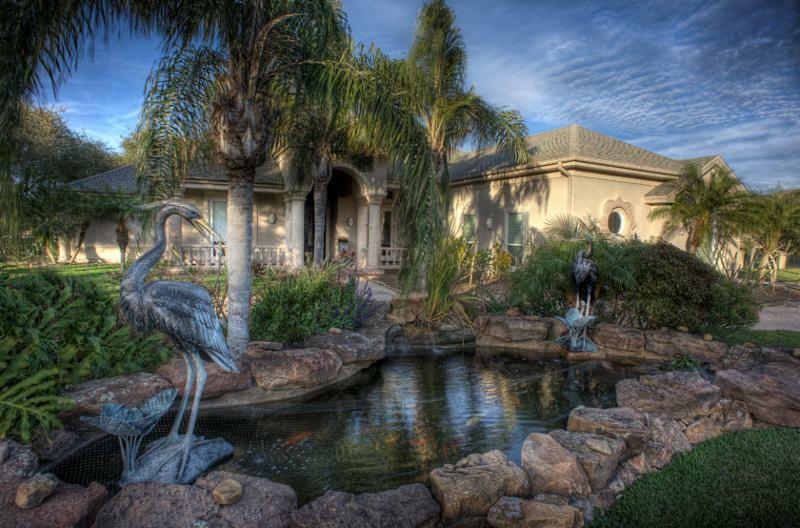 Aquarium Education Center is located at 706 Navigation Circle, Rockport, TX. Every Wednesday & Saturday, 8:30-11 AM -Shorebird Walks: We will explore different habitats and discover a variety of birds together. All ages and skill levels are welcome. Check in at Park Headquarters, then meet at the Rec Hall. Every Thursday, 8:30-11 AM - Woodland Bird Walks: Join us for an exploratory walk through the woods of Goose Island State Park. We’ll learn about and identify the birds we see on our route, which includes a stop at the bird viewing area. All ages and skill levels are welcome. Check in at Park Headquarters, then meet at the Turks Cap Trail parking lot by campsite #157. Every Friday, 8:30-11 AM - Big Tree Natural Area Bird Walks: Join us for a hike through the Big Tree Natural Area, an area of the park that is otherwise closed to the public. We’ll observe birds in a variety of habitats including coastal oak forests, coastal prairies, marshes, and bay shorelines. We may even be lucky enough to see an endangered Whooping Crane! All ages and skill levels are welcome. Check in early at park headquarters to obtain a tour ticket, then meet at the Big Tree parking lot. Programs are FREE with park entrance ($5/person, children 12 & under are free) or Texas State Parks Annual Pass. Goose Island State Park is open 7 days a week from 8 AM-10 PM. Park Headquarters is staffed 7 days a week from 8 AM-5 PM. For more information, visit https://tpwd.texas.gov/state-parks/goose-island , https://www.facebook.com/GooseIslandSP/ , or call 361-729-2858. The wooded area of Goose Island State Park is open for overnight RV and tent camping. The boat ramp, fish cleaning station, nature trail, picnic area, and West Bayfront are available for day use. There is no Bayfront camping at this time and the fishing pier and East Bayfront remain closed. Park operating hours are 8 AM-10 PM. While at Goose Island, be sure to visit one of the most famous live oaks in the world, the "Big Tree" estimated to be centuries old. Aransas National Wildlife Refuge is open daily from 30 minutes before sunrise to 30 minutes after sunset. The Visitor Contact Station is currently open Wednesday-Sunday, 9 AM-4 PM. Come hike a trail, fish off the pier or from your kayak, or drive the 16 mile auto tour. FMI, visit www.facebook.com/AransasNWR , www.fws.gov/refuge/aransas/ or call 361-349-1181. This is a publication put together by the Rockport-Fulton Chamber of Commerce.